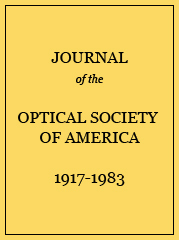 Bureau of Agricultural Chemistry and Engineering, Washington, D. C.
Comparison between electron diffraction and band spectrum values for the nuclear separation of diatomic molecules. 1 L. O. Brockway, J. Am. Chem. Soc. 60, 1348 (1938). 2 L. R. Maxwell, V. M. Mosley and S. B. Hendricks, Phys. Rev. 50, 41 (1936). 3 L. Pauling and L. O. Brockway, J. Chem. Phys. 2, 867 (1934); see also reference 2. 4 L. R. Maxwell and V. M. Mosley, Phys. Rev. 57, 21 (1940). 5 R. Wierl, Ann. d. Physik 8, 521 (1931); see also Pauling and Brockway, reference 3. 6 L. R. Maxwell, S. B. Hendricks and V. M. Mosley, Phys. Rev. 52,968 (1937). Summary of electron diffraction data on boron hydrides. Summary of interatomic distances in the alkali halides.